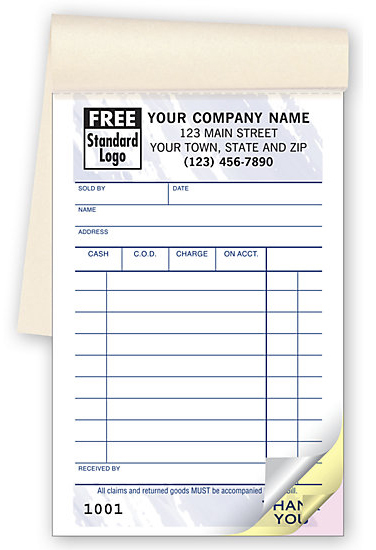 This pocket size multi-purpose carbonless sales form documents your sales, billing, deliveries, inventory, returns & much more. With one of these at hand your always ready to write up the sale & provide a receipt! Includes 9 lines of writing space - 50 sets per book. Form size is: 3-3/8" x 5-1/8"